I've received several inquiries about the status of the canning booklets, so I thought now would be a good time to post an update. The booklets are done. They're fully written. I have three so far: one on water-bath canning, one on pressure canning, and a booklet on 100 FAQs (I was originally thinking it would be 50 FAQs, but you folks had so many excellent questions that the number kept going up and up). Because of the amount of work involved in researching the FAQs, I will offer it at a slightly higher price than the other two booklets. What I'm doing now is laying the booklets out in InDesign, a desktop publishing program. 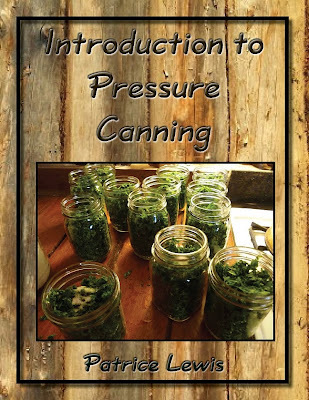 The FAQ booklet is fairly straightforward -- not many illustrations -- but the water-bath and pressure canning booklets are fairly heavily illustrated with photos and take a bit of work to lay out. I realized I had no photos illustrating the making and canning of applesauce nor the canning of chicken breasts (both of which I cover in the booklets), so I bought those items yesterday and will do some canning today in order to take pictures. Please note, there is some cross-over between the FAQ booklet and the canning booklets, but only in areas where I thought something critical should be emphasized in case someone buys one booklet but not all of them. 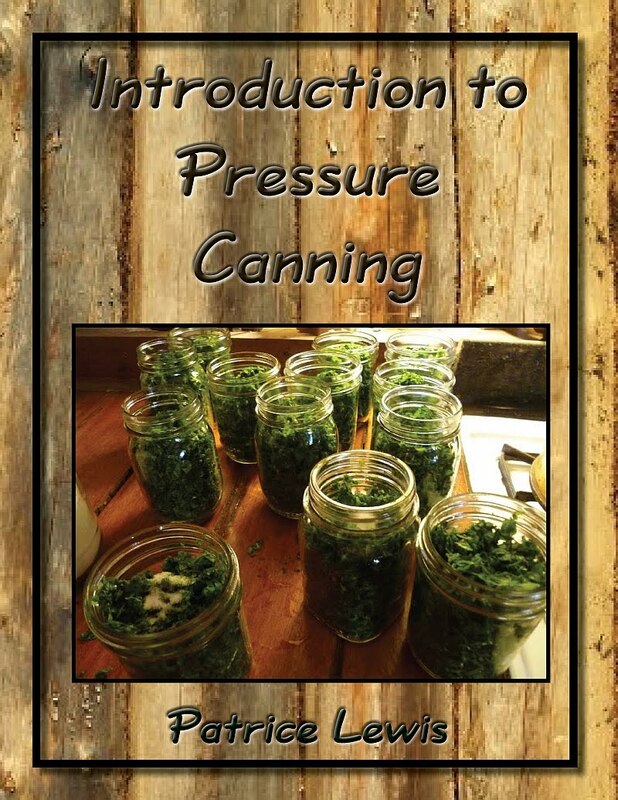 In other words, if someone is trying their hand at pressure canning and bought the pressure canning booklet but not the FAQ booklet, I needed to include critical info in both booklets. As an added note: after some thought, I've decided NOT to offer the booklets through a Kindle download. The process of offering them through Amazon means Amazon gets an astounding 70% of the selling price. If I sell these booklets for a low price as planned, it means I'll hardly get anything if I sell them through Amazon. The rules of selling something through Amazon means I cannot sell the same booklets through my blog. In other words, it's one or the other -- Amazon or the blog. Yes I know Amazon has a much wider market, so eventually I may put them up for sale through them; but for the time being I'll just sell them through the blog. This means the booklets will be available as a pdf download. This has two advantages: one, you don't have to have a Kindle (or Kindle software) to read them; and two, it means I can have a lot more color photos to illustrate the procedures (Kindle would naturally translate the photos into black-and-white). It's been a whole lot more work than I anticipated to write, illustrate, and lay out these babies -- but boy howdy have I gotten an education in the process! I have to thank all of you, my lovely readers, for your enthusiasm AND all the wonderful questions you pitched at me when this project began! By the way, these booklets will be the first of a series I plan to write on general self-sufficiency skills. I have booklets planned on such things as moving to the country, homesteading specifics such as dehorning calves, making dairy products, etc. If anyone has more ideas they want to pitch at me, by all means do so! I can't guarantee your idea will get turned into a booklet, but at this point I'm all ears for new ideas. Excellent! I don't have a Kindle, nor do I intend to acquire one any time soon, so I am delighted with your choice of a PDF download. Your instructions with the photos are superb. Keep up the good work. Is dehorning goats the same as dehorning cows? And what is the age cut off. We have a buck that is almost a year old and his previous owners did not do a good job of dehorning him and I would like to fix this if possible. Any suggestions? I'm glad you're doing pdf downloads, too! I don't have or want a Kindle, and I don't want Amazon getting nearly three-quarters of the profit for your work! Thank you for writing them, I'm new-ish to canning (did lots of helping as a kid & teen, but haven't ever done the whole process myself) and have been looking for good (but not expensive) resources as I learn. I am very happy you are doing pdf downloads! I know it is a little late, but I hope you covered pressure dials vs. weights. I am so confused as to which I should choose. Thank goodness...I have no desire to have a Kindle. PDF is much better. Hard to believe Amazon would get 70% - you do all the work and they reap the profit. Don't think so. Can't wait for your booklets. Can't wait for good instructions!! But I have a question. Since I don't have the Kindle thingy, how do I pay for the booklets?? Do I send you a check or money order and then you "unlock" the download? Would love to have you publish more info on self-sufficiency for us older folks! I have a Kindle so I'm personally excited either way - but I am shocked that they take 70%! If there's any way I can help spread the word through American Virtue's resources, just drop me a line. Would love to help! It might be a co-project for you and DH but we would be highly interested in building a farm pond without busting the bank. I know it varies a lot from one area to another but the basics must be the same. Really looking forward to the canning series. Sounds great Patrice..just one tiny thought. You usually take awe-inspiring photos but I thought your cover photo needed to be different. Y'know, the homey lantern and the lace back drop type with a pressure canner displayed. When I looked at the cover I had to stop and question, 'What is this?' I think you want to promote this as an amazing, economical,and fun process once you show us how. What about some of the beautiful colorful finished products displayed, too? Just my 2 cents worth. Really interested in purchasing these booklets. Trying to can a lot more this summer.